When you have a bone density test, your result comes back as a T-score. Osteoporosis -3.0 means you need to take steps to boost your bone strength. A bone density scan uses as a baseline the T-score of a normal, healthy-boned 30-year-old. In young adults, remodeling happens in a balanced fashion that maintains bone density over time. But as we age, and particularly when women reach menopause and estrogen levels plummet, the process is no longer balanced—more bone is broken down, and bone building is unable to keep up. The result is reduced bone density, an increased risk of bone mineral density (BMD) test scores of osteoporosis -2.5 or osteoporosis -3.0 bone density T score—and brittle bones that are more prone to fracture. The standard approach for measuring bone density is dual energy X-ray absorptiometry (DEXA, also written as DXA), which measures the density of bones in the spine, hip, and wrist, since these are the areas most likely to be affected by osteoporosis and by the osteoporotic fractures that can result from a bone density score in the range of osteoporosis -2.5 and or osteoporosis -3.0. Click image to expand view. Osteopenia (middle) and osteoporosis (right) occur when we lose more bone than we are able to make during normal bone remodeling as we age. A DXA scan takes about 20 minutes and is painless. It is essentially an X-ray procedure that measures how many grams of calcium and other bone minerals are packed into a segment of bone (typically the spine, hip, or forearm, since these are the bones most likely to fracture due to osteoporosis). Bone mineral density is calculated on the basis of how much of the X-ray beam passes through the bone. Other methods of measuring bone density include ultrasound (also called a sonogram), and computed tomography (CT) scans. An ultrasound utilizes high-frequency sound waves that travel through soft tissue but “bounce” off dense surfaces such as bones. As the sound waves bounce, they give off an echo that is shown as a darker shade of gray on the resulting images. In a CT scan, a series of X-rays are taken from different angles, and then combined to produce a cross-sectional image of soft tissue or bones. However, the results from ultrasound may not be as precise as the results from a DXA, while CT scans expose the body to more radiation than DXA. A smaller type of bone scanner can be used to measure peripheral bone mineral density in the finger, wrist, or heel. These types of machines, often available in pharmacies, don’t provide an accurate a measure of bone density; still, if a peripheral test is positive, discuss with your doctor whether you should have a follow-up scan of your hip or spine. DXA results compare your bone density to that of a healthy 30-year-old adult and come back as what’s called a “T-score.” An osteoporosis T score in the range of -1 and above indicates normal bone density, and between -1 and -2.5 indicates low bone density, which is sometimes referred to as osteopenia. Osteoporosis -2.5 indicates that you do have you may be on the threshold of full osteoporosis, and if your T score is osteoporosis -3.0, you have osteoporosis -3.0 there’s usually no question you are suffering from the condition. These bone density T scores roughly reflect how much bone you’ve lost—for example, osteoporosis -2.5 equates to 25 percent bone density loss, and osteoporosis -3.0 equates to 30 percent bone density loss. It’s especially important to protect yourself from fractures as you get older—a 2016 study carried out by researchers at the University of California-San Francisco (UCSF) suggested that one in every two older adults who suffers a hip fracture will never fully regain their health, mobility, and independence. Do you need a bone density test to help monitor your bone health and warn you if you are at risk for fractures? Your doctor can help you decide if and when you might need one. In general, this testing is recommended for women age 65 and older along with younger postmenopausal women who have further risk factors for osteoporosis. Additional risk factors include lower body weight (less than 154 pounds, which means you might start out with less bone mass), a family history of osteoporosis, and a previous fracture after age 50. Smoking and three or more alcoholic beverages daily also raise your risk. Your doctor also may advise that you be screened for osteoporosis -2.5 or osteoporosis -3.0 if you have certain co-morbidities, such as an overactive thyroid, or a gastrointestinal condition that impedes the absorption of calcium (for example, Crohn’s disease). Some medications, including corticosteroids such as prednisone (Deltasone, Liquid Pred), some antidepressants, and proton pump inhibitors (PPIs), which are used to treat heartburn, also may weaken your bones. The National Osteoporosis Foundation (NOF) also recommends bone density testing every one to two years for women taking osteoporosis medications. If you’ve recently started taking these meds, your doctor will likely refer you for a repeat DXA after one year to monitor your bone density scan results. Just because osteoporosis is more common in older women doesn’t mean that men shouldn’t take care of their bone health and also have their bone density checked. The American College of Physicians recommends that men get regularly assessed for osteoporosis risk factors, starting at age 50. The Endocrine Society advises men to get a routine T score for osteoporosis when they reach 70 years of age. Mary Ruppe, MD, an endocrinologist at Houston Methodist, says that osteoporosis treatment options for men are similar to those available for women who have an osteoporosis -2.5 or osteoporosis -3.0 bone density test score. There are several approved medications that alter the cycle of bone formation and loss to help preserve bone strength—Dr. Ruppe emphasizes that the key is diagnosing the condition so that a treatment regimen can begin. 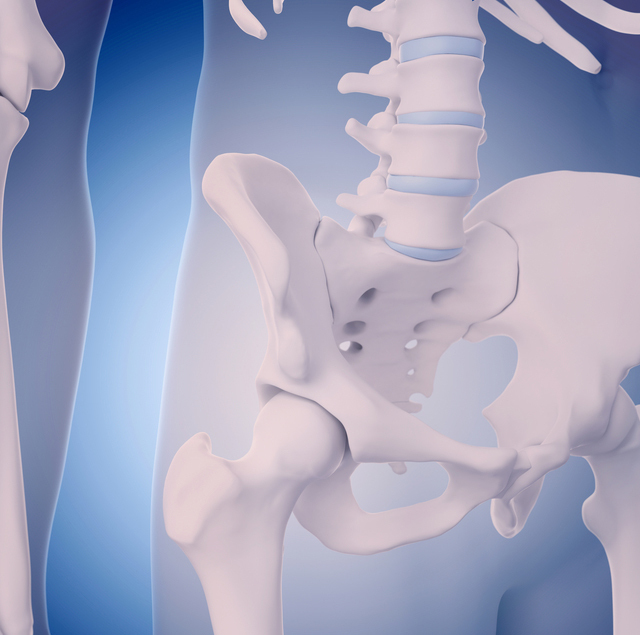 “Each year, approximately 80,000 men will suffer a hip fracture, and studies have shown they have a higher mortality rate after a hip fracture than women of the same age,” Dr. Ruppe notes. “Such data underscores the importance of routine osteoporosis screening for men.” Dr. Ruppe adds that if a man is diagnosed with osteoporosis, his physician can begin treatment and order additional screenings to identify causes of low bone density that can cause other medical issues, such as vitamin D deficiency or low testosterone levels. Originally published 2016, this post is regularly updated. antidepressants, bmd, bone, bone building, bone density, bone density loss, bone density scan, bone density scan results, bone density screening, bone density t score, bone density test, bone health, bone mass, bone mineral density, bone strength, brittle bones, calcium, corticosteroids, dementia, dxa results, dxa scan, estrogen, for osteoporosis, gastrointestinal, health, healthy bones, heartburn, hip fracture, history of osteoporosis, low bone density, low testosterone, low testosterone levels, medical issues, mobility, mortality, national osteoporosis, national osteoporosis foundation, normal bone density, osteopenia, osteopenia osteoporosis, osteoporosis, osteoporosis -2.5, osteoporosis 3, osteoporosis bone, osteoporosis foundation, osteoporosis is, osteoporosis medications, osteoporosis risk, osteoporosis risk factors, osteoporosis screening, osteoporosis t score, osteoporosis treatment, osteoporosis treatment options, postmenopausal, postmenopausal women, ppis, radiation, recovery, risk factors for osteoporosis, smoking, strength, t score, t score for osteoporosis, testosterone, thyroid, vitamin, vitamin d, vitamin d deficiency, what is osteoporosis, x ray absorptiometry, your bones. My endocrinologist tracks my bone density with an “NTX” blood test – current level at 23, down (with Boniva tablets over 1 year) from 30.9. How does this rating line up against “DEXA” scan numbers? I had a dexa scan, my t-score was a -0.3 for my lumbar spine L1-L2, and my femoral necks tscore was -0.7. What does this mean for me. Can you send me some information on this matter. Thank you. I am Female, 731/2 year: Lumbar spine L1-L2….1.8 / & Neck…..1.3 / Hip ….1.3. & …..informations about it?. I am Active w Pilate & Tai Chi, Dance, not intensively but I plan to do more….etc. Should I do something better than Ca-pill?. My friend take injection, Fosvance?….] confusing. My t-score is-0.3 left femoral neck BMD is 0.693 gm/cm squared with at-score of -2.9 ! RIGHT femorelneck BMD is 0.720gm/cm squared with a T-score of-2’7 !! Can You send me information on this Matter I am 90 years old in good Health Thank You !!!! I am 51 years old. My DEXA scan showed alarming results! My both hips scored 3.9 and my lumbar is 4.0 I am really worried,for I have done everything possible to slow it or prevent it! What does this mean for me, other than another fall could result in death. I am 59 and just received my bone density results. The bone density image in the spine is satisfactory. The measured value in the spine (L1-L4) is below the expected range of values and reflects osteoporosis with a T-score of -2.8. My left hip image is satisfactory. The hip density is below the range expected and reflects low bone density with a T-score of -2.4 at the femoral neck. The total hip T-score is -2.2. My right hip image is satisfactory. The bone density measurement is also below the expected range and reflects low bone mineral density with a femoral neck T-score of -2.2. The total hip T-score is -1.9. My question is about micro fractures on my spine. Can I get those now from simply bending forward and washing my hair in the kitchen sink? Or are my numbers too low for such a thing. I’m a 59 year old woman. Any thoughts, the more I read about this the more fear is generated. Thanks. My spinal ts core was plus 3.2 and my femur was plus 2.9. I am 71 years old. Is this normal. My T score is -2.8. I am 80 years old, very active. I just tripped and took a hard fall landing hard on my upper thigh and lower hip. I had a dark purple scare covering most of my thigh. I am very sceptical about taking medications.